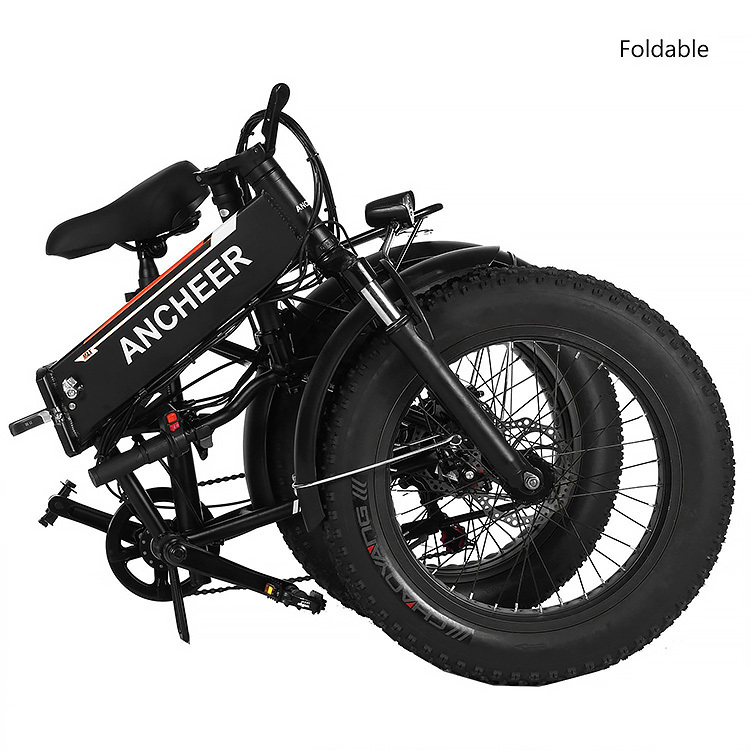 The Ancheer Folding Electric Bike 20 Inch Fat Tires 48V is a snow bicycle, beach bike, and city bike in one. It is perfect for weekend warriors and weekday grinds. Headquartered in Los Angeles, California, Ancheer has been the premier distributor of health and fitness products to countries worldwide. 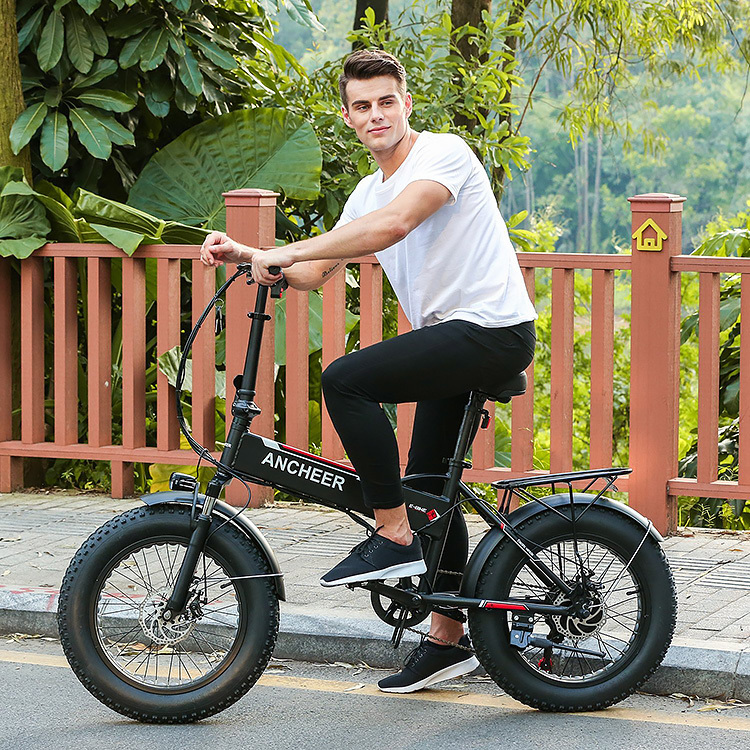 All products are manufactured by leading companies based in Taiwan and China and include items ranging from scooters to camping equipment to exercise gear. 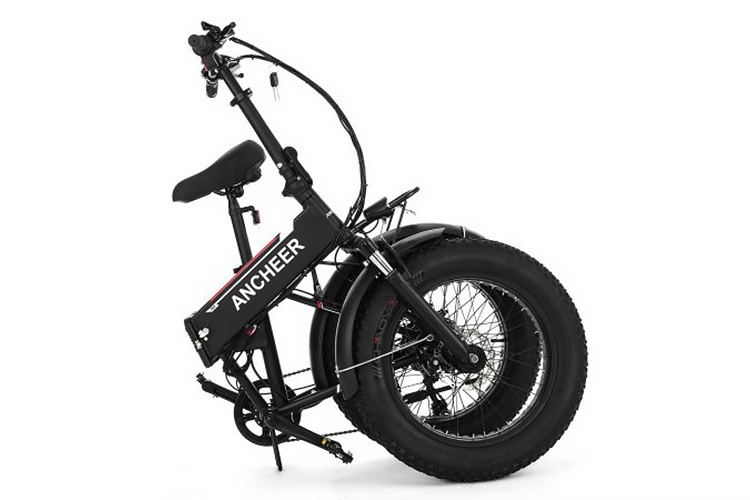 This Ancheer Folding Electric Bike model is powered by a 250W high-speed brushless gear motor and a 48V 8 AH battery. It can transport a maximum weight of 150 kg/330 lbs at speeds of up to 30 km/h to distances of up to 35 km (electric mode) or 50 km (with pedal assistance mode). 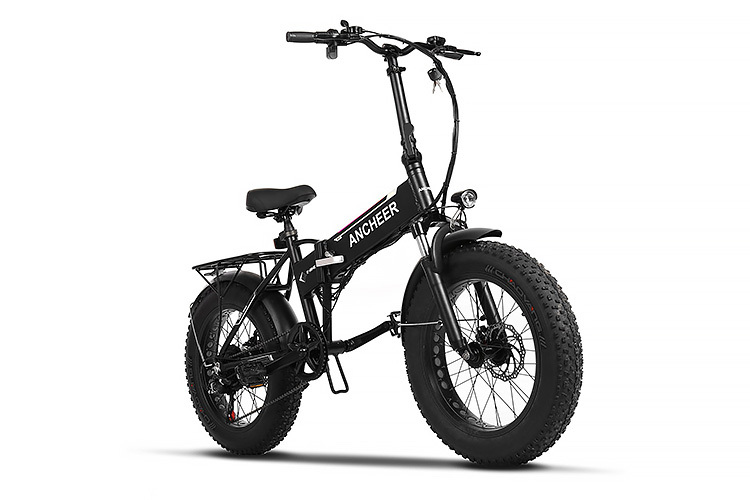 It features an LCD display for easy speed and level assistance shifting, a soft padded seat, Wellgo pedals, front and rear aluminum alloy wheels, 20” x 4” tires and a 6 speed Shimano system. Customers love this model for its corrosion-resistant 6061 aluminum alloy frame. 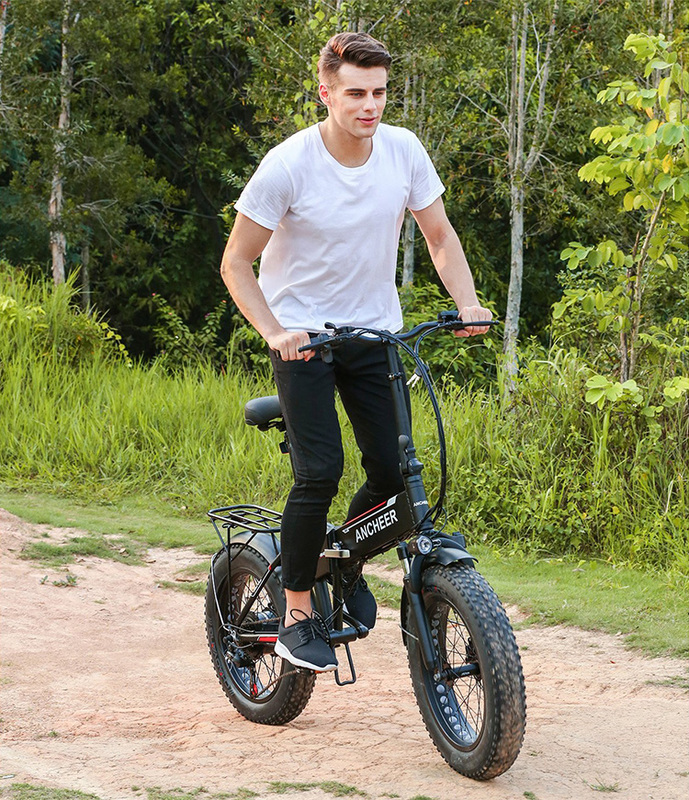 The front fork is made of high-strength carbon steel, making this e-bike extremely lightweight, efficient and well-suited for both urban and trail environments. Shock absorption is superior compared to other bikes in its category. 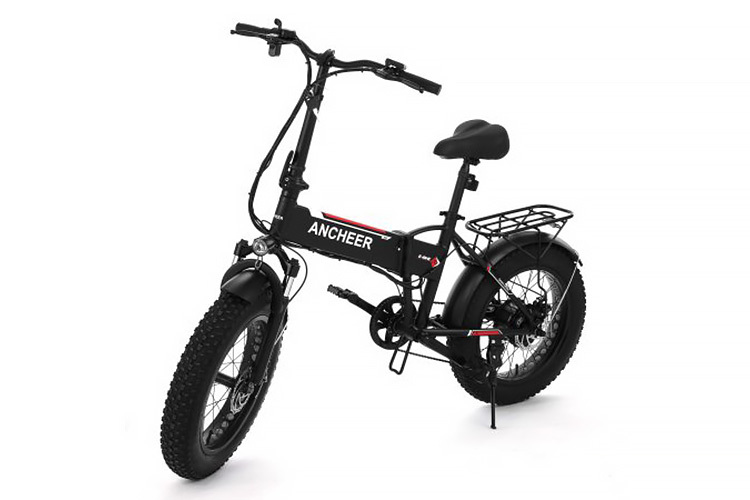 This ANCHEER electric bike is a premium quality bike that provides a smooth ride. Its trademark fat tires and lightweight frame allows the rider to cruise at varying speeds and terrain with comfort and ease.